One Sunday each month we practice contemplative methods as taught by Tibetan Master Chögyal Namkhai Norbu Rinpoche. Using mantra, visualisation and sitting meditation, we enter a state of present awareness with the aim of keeping an uninterrupted flow of contemplation, completely relaxed but fully present, through all activities. Sessions include revision or explanation of the monthly practice, contemplative practice, study and discussion. 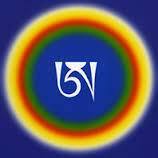 Open to all with a genuine interest in the Dzogchen teachings.